LED retrofitting sign lighting for your business or organization can create significant costs savings and years of maintenance free sign lighting. LED lighting has become more and more mainstream due to the tremendous costs savings and return on investment (ROI). It is true that LED lighting and LED retrofitting sign labor is no small expense, but have you run the numbers to see if it is worth the cost? We have clients ask us constantly, “How much can I save if I retrofit my signs with LED lights?”. The answer is always the same, it all depends on how much total signage you have and how long you plan on staying in business. Consider this typical example of operating a 4’ x 8’ illuminated sign for a business or organization for a period of five years. *These calculations assume a $0.10 KW/Hr. cost and an operating time of 5 Years. Future realized cost savings from LED retrofitting your signage with LED lights is the elimination of maintenance costs and the longevity of the LED modules themselves. A high output T12 bulb will last about two years before it starts to lose color and brilliance. Very few companies will warranty a bulb for more than 90 days after install, this is due to the exposure to the elements, wind and vibration a sign will endure. 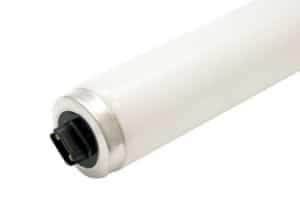 T12 tubes are made from glass and are highly susceptible to vibration and breakage. Another danger of T12 HO tubes is the high voltage used to operate the lights and the non-waterproof “sockets” inside the sign that can and will short out from time to time. 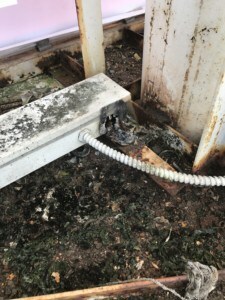 It is primarily caused by poor sign construction, insufficient UL built specifications or damaged and exposed wiring inside a sign, or it could simply be driving rain that has accumulated inside the sign. 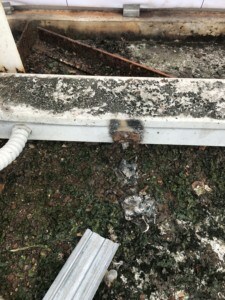 A poorly wired sign with water penetration into the circuitry of the sign can and will cause serious damage to your sign along with potential fire hazards to your building or surrounding structures. In contrast, LED lights operate at a much lower voltage and use the direct current or DC voltage as opposed to the high voltage alternating current or AC voltage. In contrast to HO T12 lights, an LED module has a ten-year lifespan and an LED driver will easily last five or more years. LED light modules are completely sealed and, in most cases, can be submerged in water. The LED module components are small and impervious to vibration damage. Due to the lower voltage DC wiring used to power the LED lights, there is far less dangerous and fewer code requirements. In short, it is simply safer. Most all LED lights are outdoor rated and sealed during the manufacturing process, Sign-Express only uses high-quality IP68 LED light modules to ensure longevity and safety. 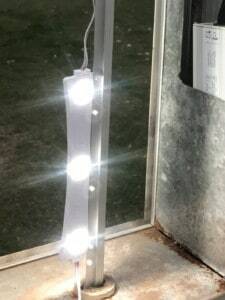 This means the LEDs will be completely water resistant and there will not be any power run to the existing sign light sockets, those will now serve as merely a pocket to hold your new LED lights during the retrofit. This is a common solution and is very effective in converting existing HO lighted signs to new energy efficient LED lights. In conclusion, if you are looking at possibly converting an existing sign to energy efficient LED lights or are in the market to purchase a new LED lighted sign cabinet, the decision is simple. The price is not all that more than revamping the sign with HO T12 bulbs and ballasts. The relatively small additional costs are vastly overshadowed by the tremendous costs savings over the next five to ten years of the signs operation. 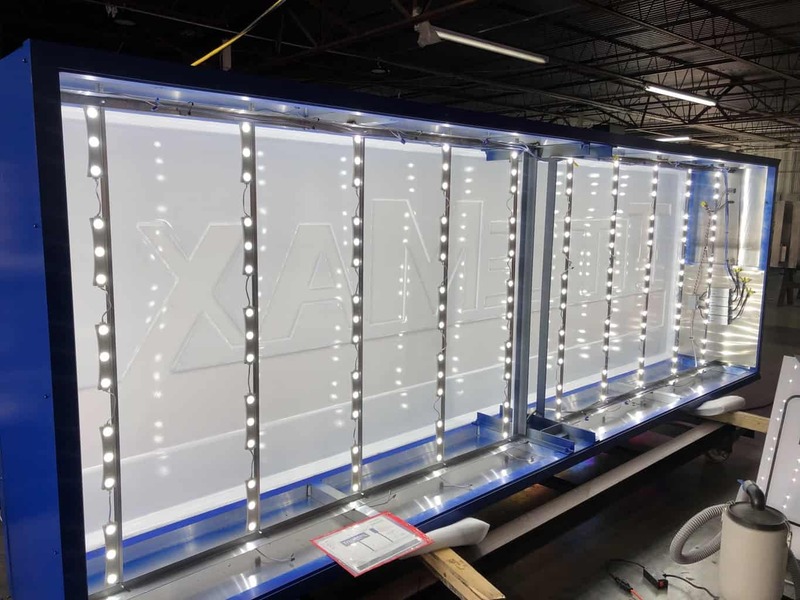 So, if you are on the fence about converting or you just need a complete professional quotation on converting your lighted signs to LED, Sign-Express can help you and your organization.